You can see the tables in home at many places as they play a very serviceable role in daily domestic tasks. 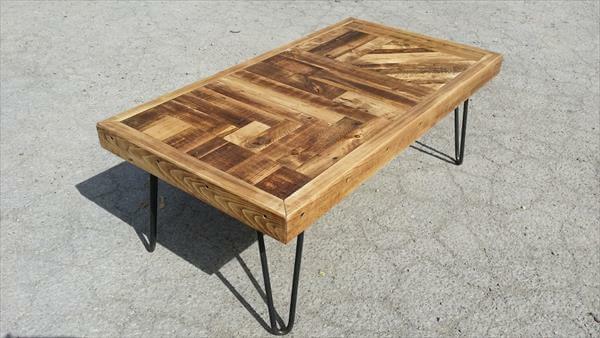 This time we have gone with pallet to create a unique type of table and we found this subtle DIY pallet coffee table out of it with hairpin metal legs. The legs have also been made by reclaiming the industrial metal scrap found in home store room. First we prepared the boundary of the table top and then filled the top using odds and ends of the pallet to create an overall random pattern on the top. You can see the brightness on the wood grains which have been gained by rubbing the wood with sand paper. 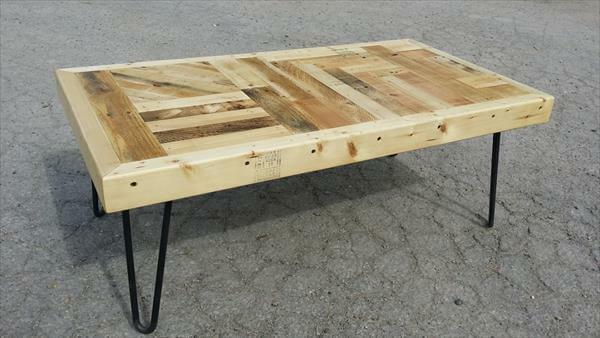 You can set this recycled pallet coffee table to any sitting plan whether it is in your living room or in your garden. 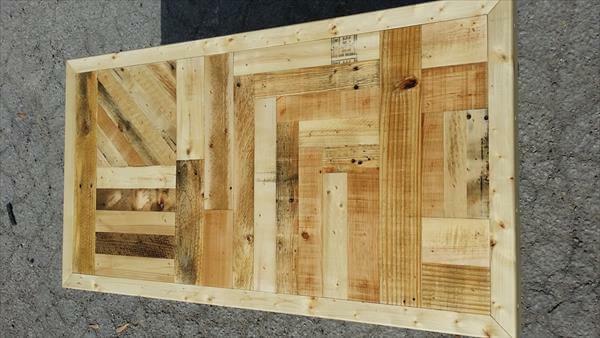 We have finished this pallet furniture projects off using the polyurethane that also made the wood sealed.